A combined forty years’ experience in the luxury sector has taught the Elitium founders a crucial lesson: archaic process can make any industry inefficient, even if through no fault of its own. By bringing together a cohort of highly-skilled professionals with expertise in yachting, luxury services, digital marketing, mobile development, and blockchain technology; Elitium is on a path to reimagining luxury, precisely as it should be: simplified indulgence without the unnecessary overhead. A comprehensive, yet frictionless, luxury lifestyle mobile application; a global network of top-end partners at your fingertips; all underpinned by the efficiencies and security of blockchain technology – Elitium is dedicated to transform the world of luxury and delivers a new standard. Boatsters has always been a front-runner in exploring innovation in traditional yacht rental: a mindset that led the team to explore blockchain technology. This shift to the blockchain marked a significant milestone for Boatsters as the company remains the only platform in its industry to accept cryptocurrencies as standard payments for chartering yachts. 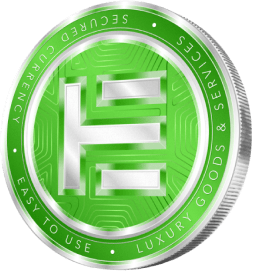 Moreover, the decision gave rise to Elitium, with a team promising to remove the transaction costs, paperwork, and security concerns that plague luxury lifestyles, the world over. Copyright © 2018, Elitium. All trademarks and copyrights belong to their respective owners.